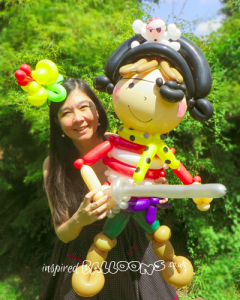 Children simply love balloons especially when Lisa has transformed them into fun creations ranging from funky hats to cute animals and characters. 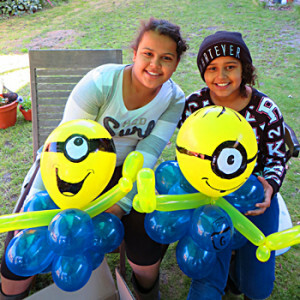 Give your child and guests a party to remember which includes a special, medium-size balloon sculpture for the birthday child! TRAVEL INFO: We are ideally placed for parties in Hertfordshire, Bedfordshire and Buckinghamshire and London, but can travel further afield too! Travel to parties is free to all customers within a 9 mile radius of Hemel Hempstead. For parties further afield, the price is twice mileage eg Watford and Luton £20; London £50 (plus congestion charge if appropriate). 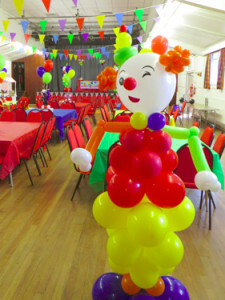 Your two hour party kicks off with a hilarious balloon game, followed by an introduction to balloon twisting, then a one hour tutorial on a balloon creation of your choice. 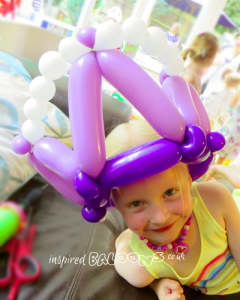 While quaffing some birthday tea (not provided) Lisa will make you and your friends a cool balloon hat. 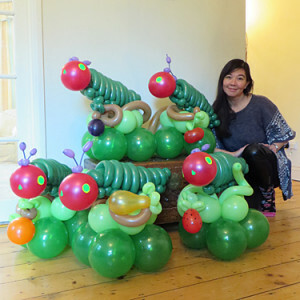 Finally we end up with a photo session to show off your amazing new balloony creations! £180 plus travel if outside of Hemel. 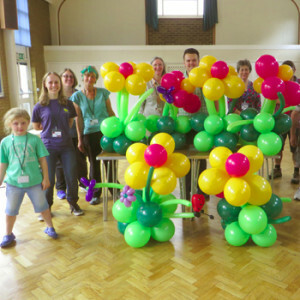 Optional extra: Balloony Party Bag £5 includes workshop balloon pump, 12 modelling balloons and a marker pen. 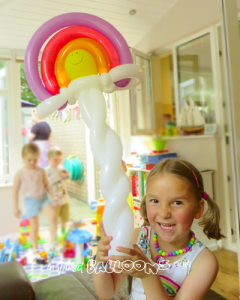 Suitable for up to 8 children aged 8 and upwards. 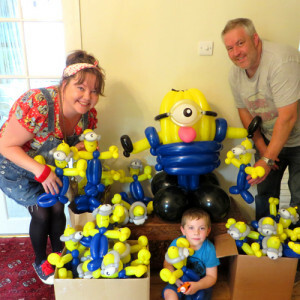 Pumps and balloons provided. 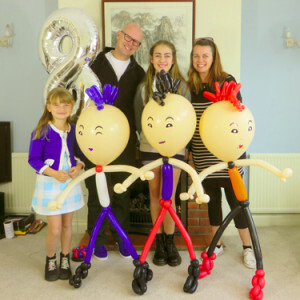 Another option is have a balloony character greeter or decor and your balloony gifts ready and waiting for guests when they arive! 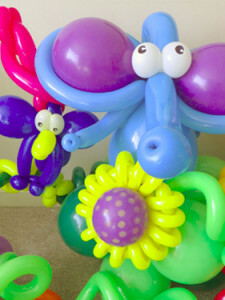 Prices will vary according to the size and number of balloon sculptures you require. 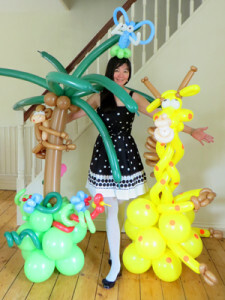 Get in touch with Lisa on 07952 113735 for some cool ideas that suit your budget.